Our blood is composed of 2 main contents – the cells and plasma. While cells are mainly white blood cells, red blood cells and platelets, plasma is the is the yellow colored fluid in which these cells are suspended. Of the cellular component, the platelets have been found to have healing and regenerative potential. PRP or platelet rich plasma had found its first application in sports injuries and ever since ,dermatologists have used it successfully in skin and hair health. While PRP has become a popular procedure hair growth and hair fall arrest; the procedure of procuring PRP is complicated and warrants technical expertise and precise instrumentation. The operator’s expertise and experience is what makes PRP effective with single session in some and completely ineffective even after multiple sessions in others. 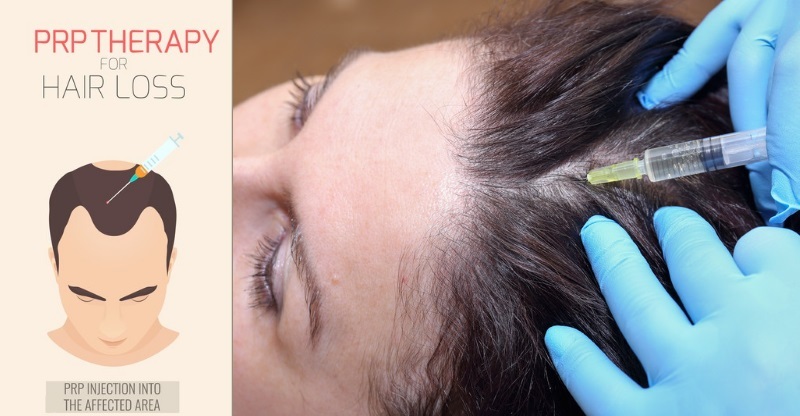 First the cause of hair fall or hair growth arrest is evaluated and if PRP will work for this client is judged.Then the client is told about the cost, number of sessions and frequency of sessions and the kind of results expected. On the day of the procedure, the patient’s blood is taken and processed in the centrifuge machine. The centrifuge process is the most important step of procuring the PRP. It involves a 2 spin procedure, accurate extraction of plasma after 1st spin, gentle transfer of PRP in the syringe without platelet damage. This roughly takes half an hour by which the anesthetic cream has done its job. After cleaning and degreasing the hair,anesthetic injection is given at hair margin for making it a painfree experience. The PRP is then delivered to the bald ares on the scalp as planned. It can be delivered by microneedling with dermaroller or dermapen or dirent injections or acombination of the above. After the procedure the patient is given a Do’s and Don’t’s list and also post care instructions. In the right hands and with right diagnosis of the hair condition, PRP can be a powerful armamentarium to arrest hair loss and induce hair growth in a suitable candidate.